The Rocky Horror Picture Show might be up there with one of the most quotable musicals ever made. The 1975 musical horror comedy film by 20th Century Fox was a parody tribute to the science fiction and horror ‘B’ movies of the 1930s to 1960s. The film stars the fantastic Tim Curry, Susan Sarandon and Barry Bostwick amongst other brilliant cast members, who all contribute to creating one of the best kitsch, cult films in cinematic history. When it was first released, however, the response was pretty dire. Critics’ initial reviews read mostly like Dave Kehr’s from the Chicago Reader, “The wit is too weak to sustain a film, and the songs all sound the same.” Oh, how they were mistaken! It quickly became a midnight movie where audiences began participating in lip syncs, reciting lines, singing songs and even performing dance routines at the Waverley Theatre in New York in 1976. Soon after, a movement began. Cinemas all over began hosting screenings of Rocky Horror, and to this day the musical masterpiece is the longest-running theatrical release in film history. So, without further ado, here are the most iconic quotes from this incredible cultural phenomenon that changed the world of film forever! A healthy dose of foreshadowing if we’ve ever heard it. The Criminologist very quickly transports the audience to a darker, unfamiliar place – and we love it every time! It’s from one of the corniest songs in the film, but we think it sums up American Dreamers Brad and Janet perfectly. To explain his outlandish actions, Frank N. Furter tells the cast that he’ll return to Earth one day and stay forever. Whether this is all a pity party or a genuine statement is questionable, but either way, this moment is one of the more memorable and poignant from the film. 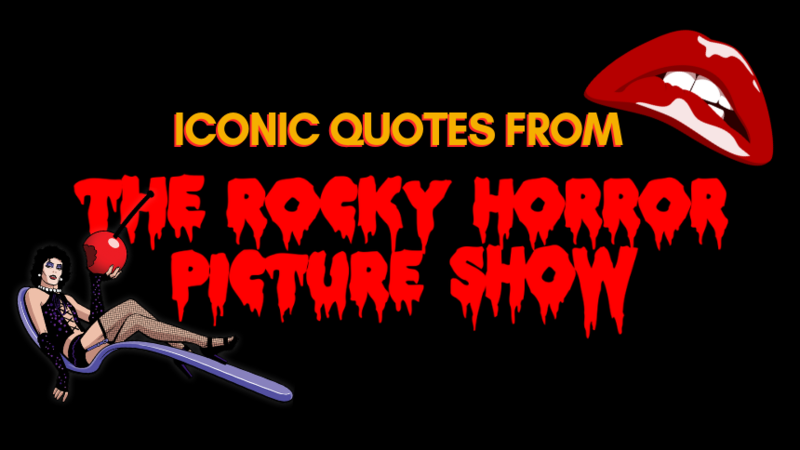 It wouldn’t be a roundup of iconic Rocky Horror quotes without mentioning the Time Warp, would it? Riff Raff’s brilliant beginning to one of the most famous musical numbers is unbeatable. This is one of our favourite lines from the well-known Rocky Horror show tune “Sweet Transvestite.” It’s a hauntingly tantalising invitation from Tim Curry as he really shows us what he’s made of. If we could all channel a bit of that trademark ‘Furter sass, we reckon we’d all be a lot better off! This is when we see Janet unravel right before our eyes. Frank may have deceived her when he disguised himself as Brad – but she’s not at all bothered when she realises! Frank N. Furter must be one hell of a romancer. We just had to end this list on a high! Furter has us hook line and sinker with this delivery of the amazing play on words by Richard O’Brien. If you can’t get enough of Rocky Horror, then you’re in for a treat. 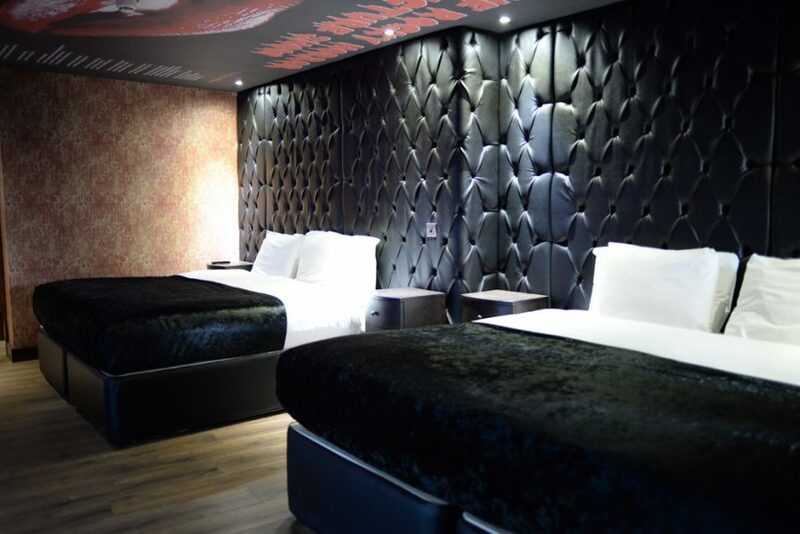 Here at the Arthouse Hotel, we have an amazing Rocky Horror-themed room that sleeps up to 6 people. Why not book yourself in when the Rocky Horror comes to the Empire Theatre from the 29th April to 4th May? Arrange a night to remember and let your inner freak-show shine! Make your reservation to stay at The Arthouse Hotel today.